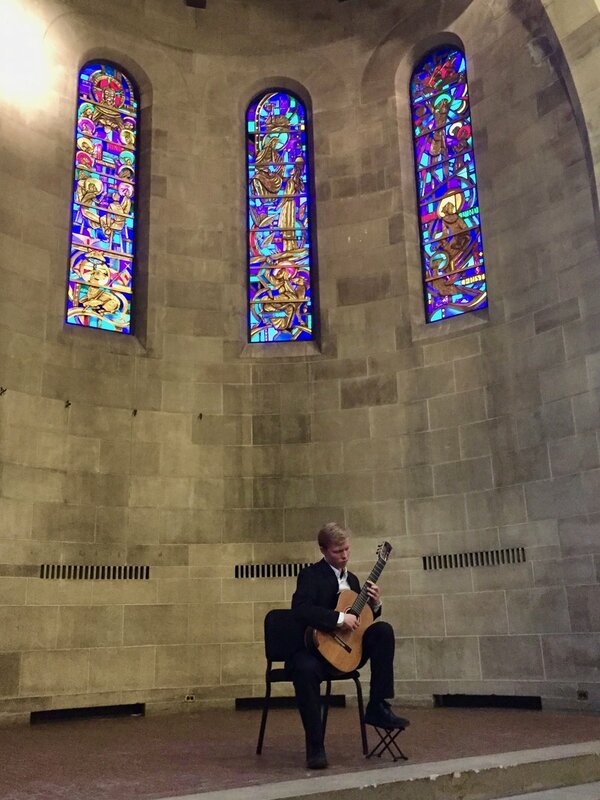 Aidan Wiley Lippke gave a full solo recital last year, his first at Oberlin. This one, another full recital of major repertoire, was his second. Aidan proved once again that he is capable of extraordinary things on the guitar. It was a terrific demonstration of his talent and commitment. In a varied program of works, including pieces by Bach, Barrios, Henze and Albéniz, Wiley Lippke filled Fairchild Chapel with a sound in turns delicate and authoritative. Bravo Aidan, for another brilliant concert!